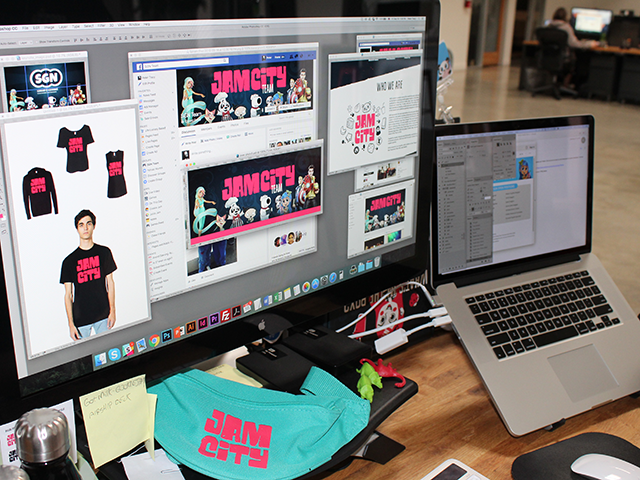 Panda Pop creator SGN Games has undergone a rebrand, and it is now called Jam City. Speaking with SocialTimes, Jam City co-founder and CEO Chris DeWolfe said the name is, in part, a nod to Cookie Jam, one of the company’s popular games. In addition, a “jam” can be a group of people coming together, like a band playing music. In this case, the groups at Jam City are creating games. Meanwhile, the “City” portion of the name was inspired by the sense of community users can have while playing games together. In addition to announcing its rebrand, Jam City announced that it acquired rights to the comic strip Peanuts, and that it will release a Peanuts mobile game later this year. DeWolfe said the game will be a casual puzzle experience. DeWolfe said he expects Jam City’s revenues to surpass $400 million within the coming year. The company currently has 50 million unique monthly users. Jam City’s Peanuts game will be the company’s fourth game based on Hollywood intellectual property. Jam City previously released The Book of Life: Sugar Smash, and Marvel Avengers Academy and Family Guy: The Quest for Stuff were added to the company’s portfolio when it acquired TinyCo in July 2016. Going forward, DeWolfe said the plan was for one-half of Jam City’s new games to be based on its own IP, and for the other half to be based on third-party IP. Readers: Are you excited to try Jam City’s Peanuts mobile game?